It was suggested I post this here, so here we go! Hi folks. 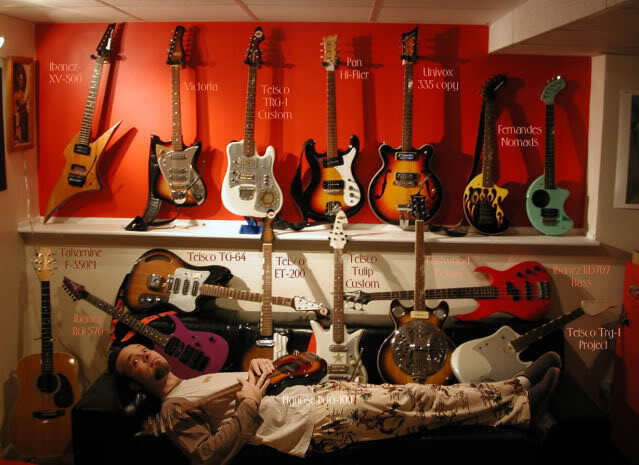 My name is Scott and I am a bit of a bizarre guitar addict. Which would naturally lead me to Ovation solid body electrics. Because I am a customizer at heart I have no problem getting creative. But how great would it be to at least find a stock body and 'gasp' bridge to start with! What is nuts is that I've noticed the 'grey-burst' finish on Preachers and Vipers and UKii's looks close to my robot custom. If I found one of those bodies I may not even need to repaint the neck! And since I am basically starting form scratch, I don't think the Ovation gods would frown on me for not staying stock. I have a couple Duncan hotrails collecting dust right now. I've been hunting on ebay. But the only Preacher body on there seems a little steep at north of $200 with no bridge, when it seems the going rate for a body alone is under $100. At least the last few I could find records of selling. (That bridge is another $tory.) 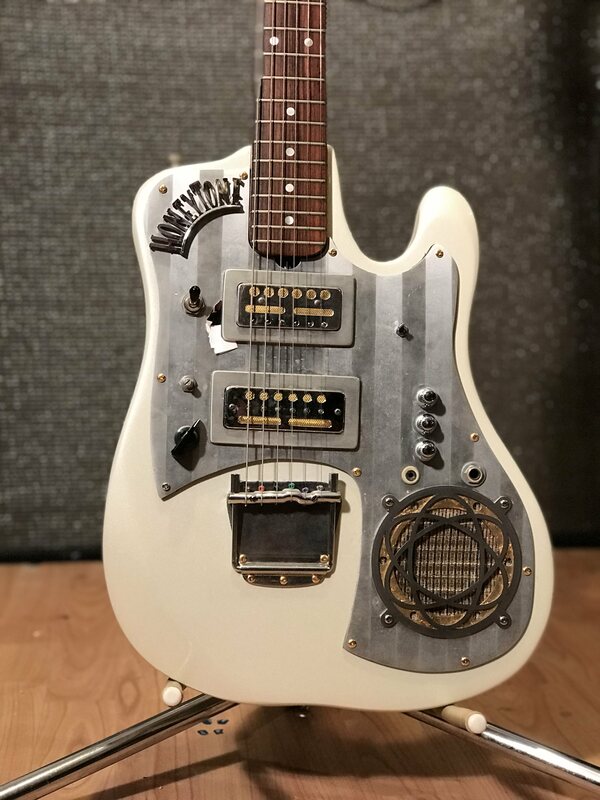 I do like that the ebay preacher is the extended pickguard one and not the isolated 4-pot stereo body. I can't believe I missed this Preacher body on Reverb. Had the electronics and bridge for $165! 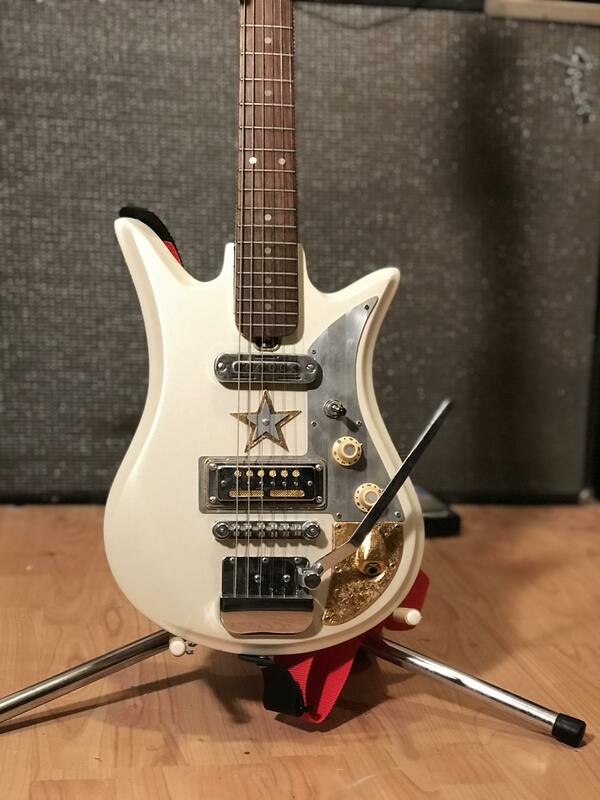 I dig the heck out of the Viper body, but my understanding is that is a 25.5" scale guitar. So either the bridge or neck pocket would need to move? Would also love a UKII body, but I am wondering why Ovation decided (At least from my reading.) to glue the neck into the UKII body, and have the bolts in addition? Also with a plastic and aluminum construction, modding the bod if needed would be tough. Anyway, just wanted to do a little intro. See if anyone has something in their stash. 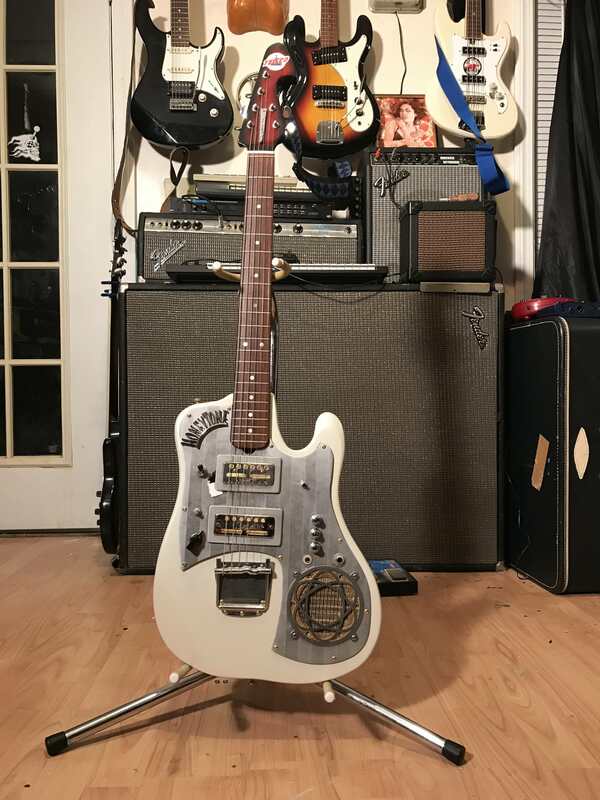 I will attach some pics of my collection- some of my customs and the neck in question. 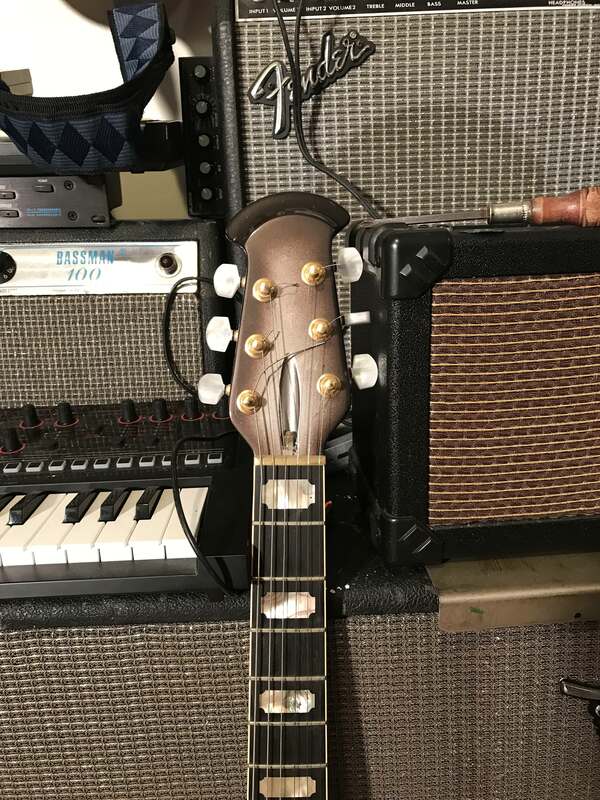 THe ovation neck I have. Some customs! 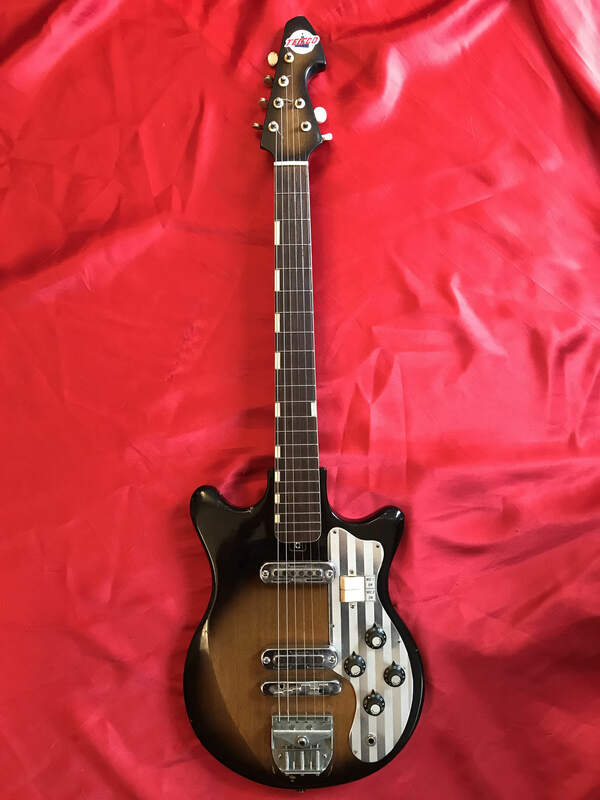 Mostly a vintage Japanese guitar guy. Serious Teisco addict. One I am working on. Location: Lake Forest, CA Cool collection of guitars. I like the self-amplified idea. Sort of a flip on the Acoustic-Electric. Yours are Electric-Acoustics. Location: Flahdaw Luv that HoneyTone. How's it sound? Location: 6 String Ranch All the necks were bolted and glued. The glue was on a piece of paper and if you needed to take it off the glue would crack along the paper. both the viper scale and the shorter preacher scale work on the same body, it was designed that way. Luv that HoneyTone. How's it sound? Malfunctioning at the moment. LOL. These Teiscos had an amp in them from the factory in the 60's, but they rarely work today. 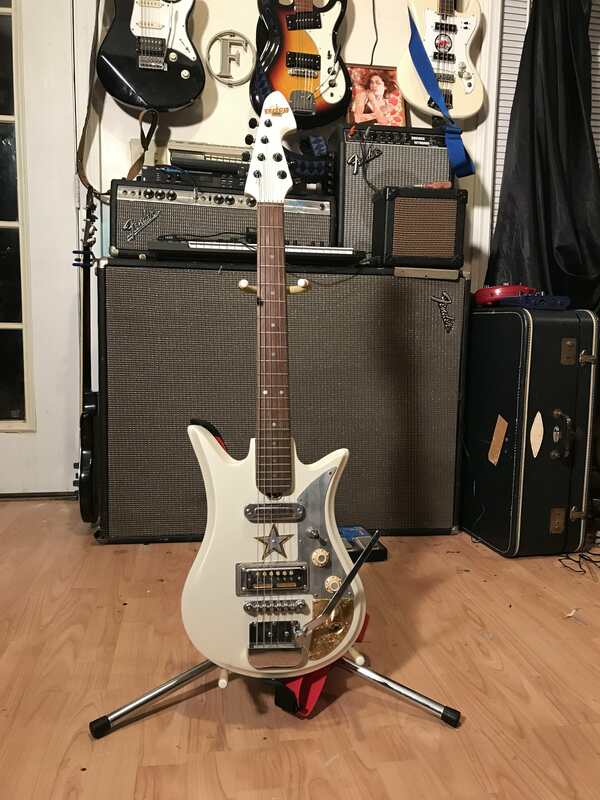 SO I started using other battery operated amps, like the Danelectro Honeytone in the Atomic looking one and there is a Pignose Guitar amp in one I am currently working on. Problem is with these goldfoil pickup, by their nature are microphonic, so I get some serious feedback if I go too loud with them. 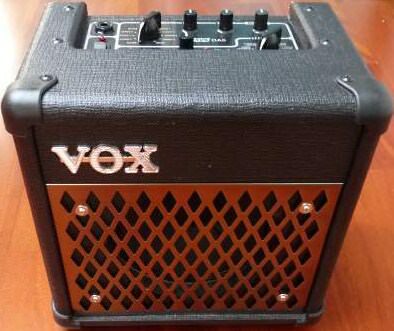 But the real charm is hearing those goldfoils bypass the built in amp and go into a full amp. Just fantastic pickups. I see people putting them on Fenders these days! 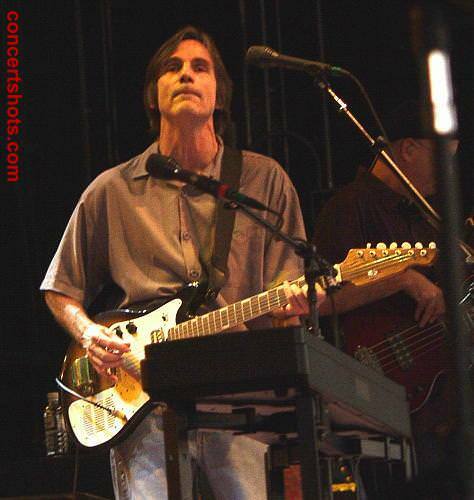 Good enough for Jackson Browne! All the necks were bolted and glued. The glue was on a piece of paper and if you needed to take it off the glue would crack along the paper. Really happy to know that. I read up a lot on neck scale, and was hopeful they could swap, but dubious. I did not like the thought of moving that bridge up for sure! For fenders, places like Warmoth sell specific 'inbetween' necks, lol. 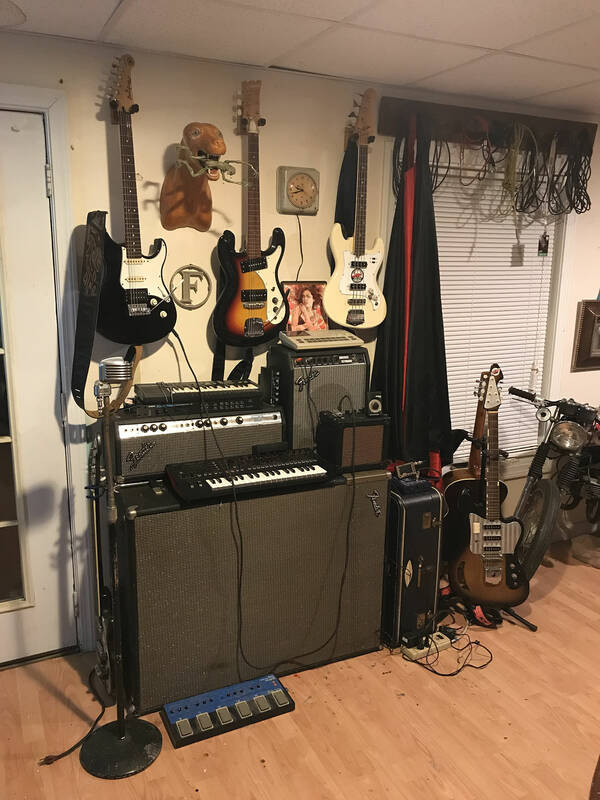 How much does your self-contained guitar/amp weigh? Is it powered by battery or a/c? Thanks for asking. 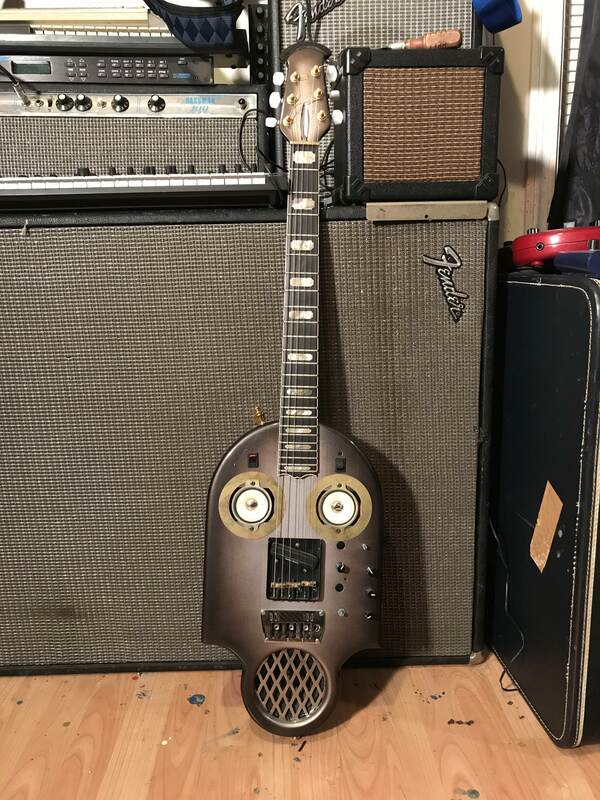 The robot guitar has a Vox DA-5 inside of it. It can run on batteries or AC power. It weighs just about exactly 10 lbs. But hey, at least there is no neck dive, lol! Good Eye. What else is up there, Roland TR-505, Roland JDX-i, Micro cube, Nanoverb, and the classic Casio SK1 sampling keyboard. I’ve got a Les Paul that weighs that much without a built-in amp. 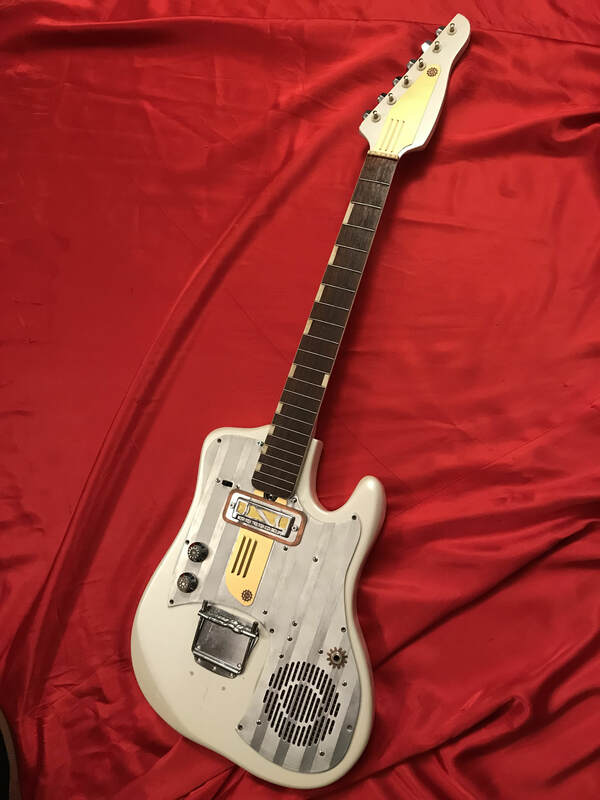 Since you seem to be quite a fan of Japanese guitars from the 60's, can you identify this one? As you probably know there were a zillion different importers who put different badges on the same guitar. Which makes it fun for collectors, and allows you to find really good deals on the more obscure names. Yours is a nice one because of the gold foils, which are sought after, and appears to be a solid body rather than ply. I have a really nice one up on ebay currently. 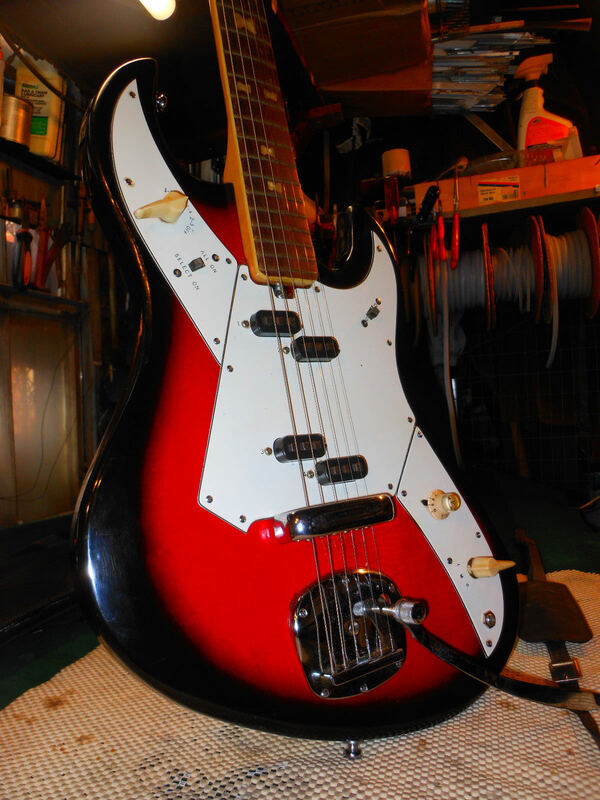 It has the desireable 4/2 headstock, and the stripped aluminum pickguard, but sadly doesn't have the goldfoils. I believe mine was manufactured in the early to mid-1960's. 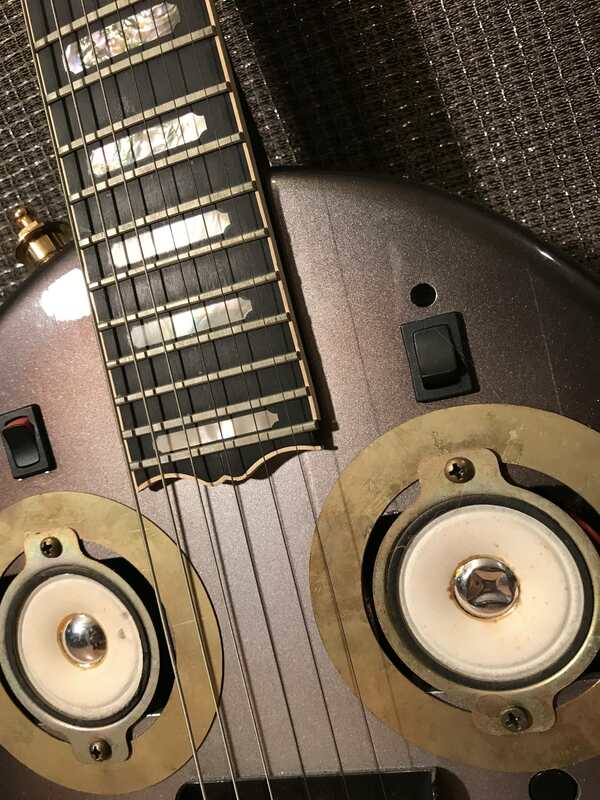 I love the foil pickups, they have a distinctive "sixties" tone. Now that is an amazing story! Was it one of these? I hate to ask what you sold it for, lol!